As 2016 comes to an end, we’d like to share with you a glimpse into the past year of ministry here in New Mexico. Each year as we look back, we are amazed by how God has moved and worked to further peel back the layers of New Mexico’s stony heart. The battle for life is fierce here in the desert but the Lord keeps moving us forward and blessing our efforts. Thank you for standing with us and for your prayers and support! 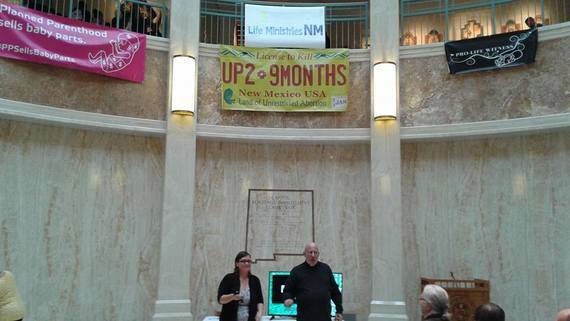 #5 – Albuquerque’s anti-abortion crusaders: Bud and Tara Shaver take no prisoners in their ‘culture of life’ campaign. 2016 marked 6 years of ministry in New Mexico. We’ve worked tirelessly to expose and oppose the New Mexico Abortion Cartel. This year started off with a front page pro-file piece by the state’s largest newspaper: The Albuquerque Journal. We were surprised by how fair and balanced this report on us was and we were grateful that our efforts and our primary focus as missionaries was conveyed accurately. Fr. Stephen Imbarrato and Tara Shaver introduced a compilation video and presentation of 5 years of investigative research into New Mexico Reproductive Health Clinics at the Capital in Santa Fe for New Mexico legislators during the start of the 2016 legislative session. 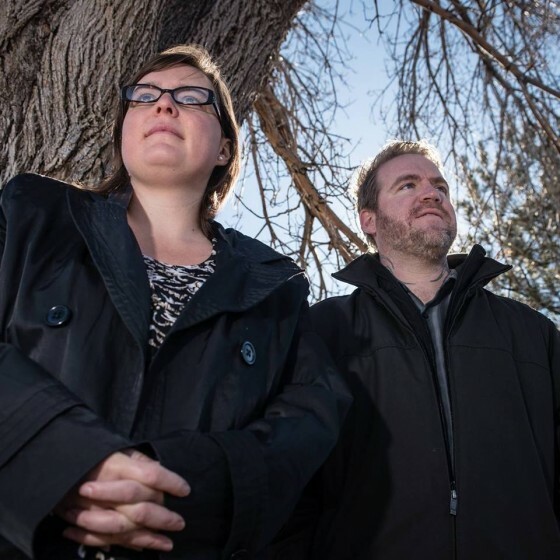 Since July 2015 we have been involved in seeking accountability for the University of New Mexico and Southwestern Women’s Options regarding their collaboration in the use of aborted baby remains for experimental research. We will continue to keep the pressure on our New Mexico Attorney General in 2017. Bud joined a coalition of the nations leading pro-life activist organizations led by Created Equal for #OperationRNC which included: Operation Rescue, Survivors of the Abortion Holocaust, Citizens for A Pro-Life Society, Rev. Mahoney and Fr. 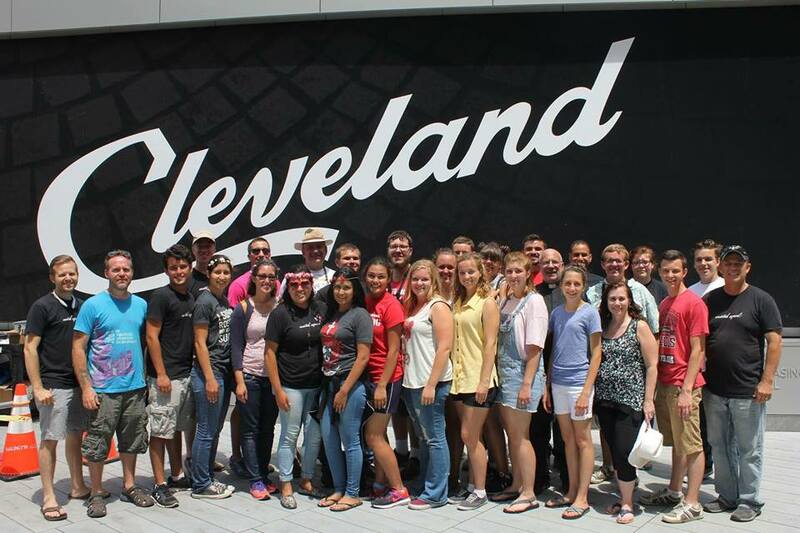 Stephen Imbarrato: The Protest Priest of Priests for Life in Cleveland, Ohio (July 13-15) for the run-up to the Republican National Convention (RNC).The goal of #OperationRNC was to demand that the RNC address defunding Planned Parenthood in the GOP party platform. In addition #OperationRNC was a public awareness campaign which included public prayer and several events designed to raise awareness of the injustice of abortion. As a result of #OperationRNC the Republicans Adopted the most Pro-Life party platform EVER condemning abortion and Planned Parenthood! With 2016 being a major election year for both New Mexico and the nation, we worked tirelessly to encourage New Mexicans to vote pro-life. One of New Mexico’s greatest hurdles and strong holds are Catholic politicians who are placing their party before their faith. We worked alongside Fr. Stephen Imbarrato: The Protest Priest to expose and oppose several pro-abortion Catholic Democrats. We sent thousands of postcards throughout their districts and conducted numerous protests leading up to and including election day. In a major upset, the pro-life community successfully opposed pro-abortion Catholic Senator (D) Michael Sanchez who for years ensured that pro-life bills never saw the light of day. Protest ABQ set the stage for this monumental defeat with postcards and co-lead two key protests in this district leading up to election day. In April of 2016, Tara filed a formal complaint with the New Mexico Nursing Board against Vivianne Clark. Clark is a Registered Nurse who is employed by Planned Parenthood of New Mexico. New Mexico law states that only licensed physicians can perform abortions. Vivianne Clark is not a licensed physician and is therefore in violation of New Mexico’s Criminal Abortion Statute, NMSA Section 30-5-1, et seq. As we await the nursing board’s decision, please pray that Clark loses the ability to kill babies in New Mexico. 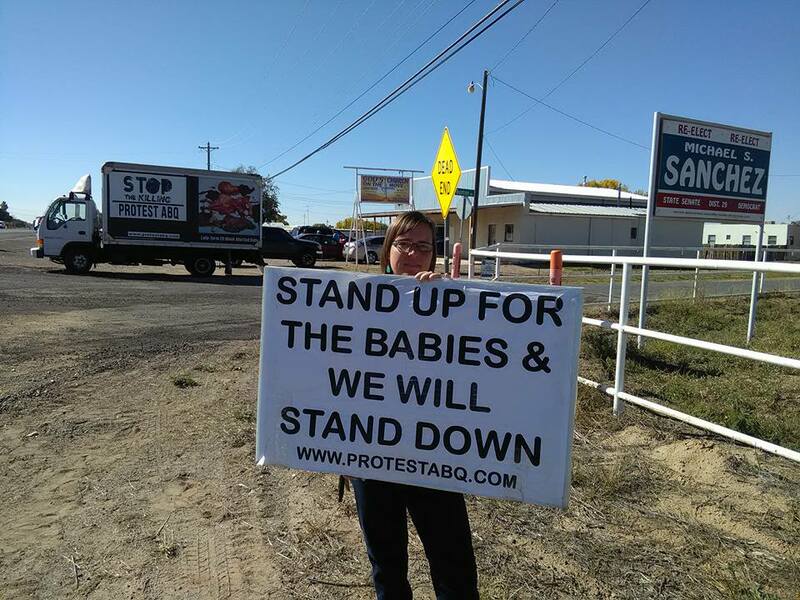 Thank YOU for standing with us, for your prayers and for making our pro-life efforts in New Mexico possible! We love you all and keep you in our prayers. May you each be blessed in this new year 2017! 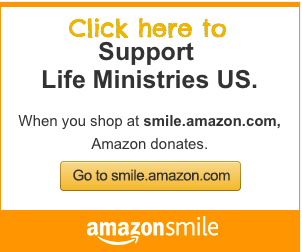 Recurring and tax deductible donations can be made online here.